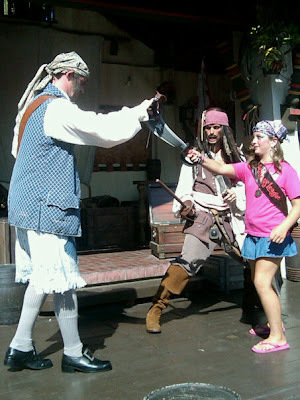 Disney Goddess: ArrrgggGreat Disney Pirate Adventure! So, you’ve done Disney, huh? I bet you’ve tackled all four of the mountains and lived to tell about it (although, admit it, that Yeti almost made lunch out of you)! You’ve experienced the Dole Whip, actually learned something on Spaceship Earth, ogled at the Tree of Life and strolled down Sunset Blvd like a rock star Mickey Mouse. 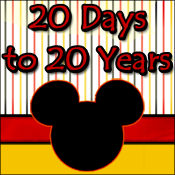 This is part one of a new series on personalized adventures for the Disney aficionado! Do you have a pirate lover in your family? 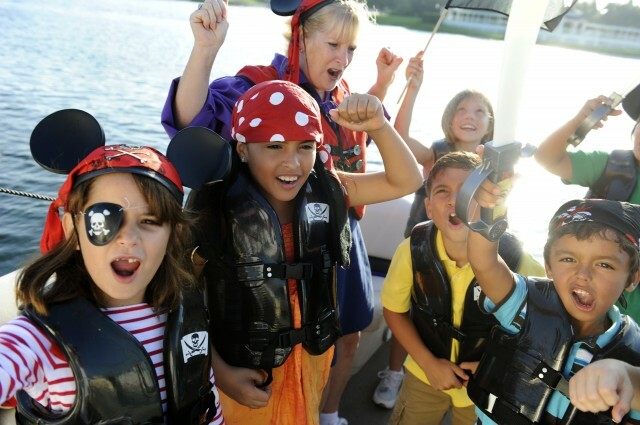 Disney has made it easy to fill a weekend with high seas adventures! Before ye set sail, it could be fun to make a treasure map to guide you on your adventure. Draw out the route you need to take in order to find the X. The X, of course, being the Walt Disney World Resort! Age the paper by tea staining it or carefully burning the edges of the paper. Or, if crafts aren't yur passion, the classic customizable maps could definitely pass for a Pirate’s! 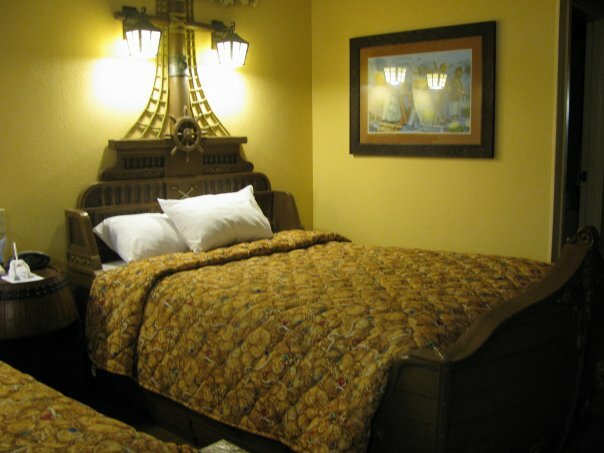 Check into your Caribbean Beach Room, discover’n all the details from the wood plank floors to the pirate ship beds! Then head out t’ enjoy the pool –Fuentes del Morro Fort. It is a treasure trove o’ fun! Head to Magic Kingdom and straight over to The Pirates League! 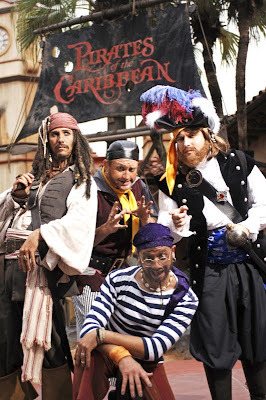 Get yer pirate name and let the talented first mates turn ya into a buccaneer! After be'n transformed ye must take the Pirate oath! Only then do you have the honor of taking part in the daily Adventureland Pirate Parade! Blow me down! From there, tackle the high seas by overtaking the Pirates of the Caribbean ride in swashbuckling style! Spy Cap'n Jack at his Pirates Tutorial an' fill yer belly with some grub from Tortuga Tavern! Cap'n Hook be wait'n fer your help o'er in the Peter Pan ride! So hurry over thar (I won’t tell if you’re really on Peter, Wendy an' Tink’s side)! With a blitheringly little bit o' Pixie Dust, you’ll be able to tackle the 7 seas o' Magic Kingdom! Small World: Parrot Strangling Slops Barrel! Ye never know who you’ll see there! River Boat Cruise: Get aloft on th’ top deck and survey the area! You can’t be too careful! The raft to Tom’s Sawyer’s Island: Once ye reach the shore, see if ye can infiltrate th’ fort on the island! Splash Mountain: Brer “nancy pants” fox looks like a scurvy knave to me! Pirate’s of the Caribbean: Heave Ho! It’s a pirates life! Jungle cruise: Take on the Nile…and Trader Sam. Don’t loose yer head! Shrunkin’ Neds: Learn to cap’n yur own boat! Now it’s time for the crown jewel o’ the day: The Pirates and Pals Fireworks Voyage! Sail the Seven Seas Lagoon on a voyage that comes alive with boisterous song, swashbuckling tales of adventure, daring Never Land pirates and dazzling fireworks off the starboard bow! Find yer adventure at Disney’s Typhoon Lagoon! There you can risk yer floaties in the wave pool, ride out the storming tides on Crush n Gusher and swim with sharks at Shark Reef—if yer not yellow bellied! aspiring buccaneers between the ages of 4 and 12 board a pirate-themed boat and scour the waterways around Walt Disney World Resort in search of pirate treasure during a swashbuckling high-seas adventure. On this guided expedition, each participant enjoys a light snack and beverage, learns how to talk like a pirate, visits legendary ports-of-call, and—if he or she is lucky—returns with a bag of pirate booty! Disney's Pirate Adventure is a 2-hour sailing voyage that takes place each day at select Walt Disney World Resort hotels from 9:30 a.m. to 11:30 a.m.
Additional information and reservations may be made up to 180 days in advance by calling the Walt Disney World Recreation Department at 407-WDW-PLAY (407-939-7529). Guests under age 18 must have parent or guardian permission to call. A full weekend of adventures- fit for a pirate! What are ye wait’n fer?